A privately-owned Cessna 185 airplane made an emergency landing at Nome’s City Field airport on Thursday afternoon. 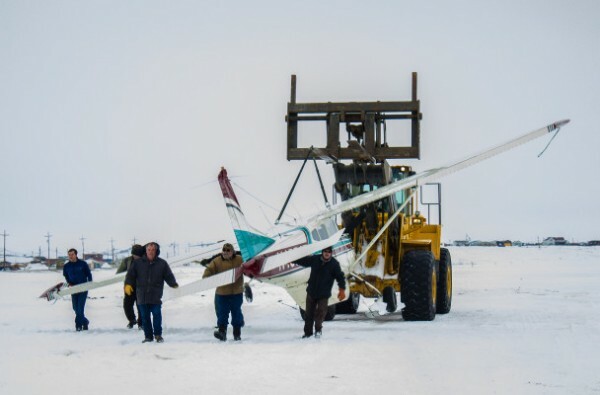 Update Thursday, 3:45 pm: The Nome Police Department received a distress call regarding a small aircraft “that possibly would not make the city landing strip” just before 1 o’clock on Thursday. The Nome Volunteer Ambulance and Fire Departments were dispatched along with law enforcement officers. Nome Fire Chief Jim West, Jr. says the single-engine Cessna 185 departed Nome earlier on Thursday, and was on its way to White Mountain when the pilot noticed the plane’s landing gear was out of alignment on one side. The pilot returned to Nome, and performed an emergency landing at City Field that further damaged the plane’s landing gear — but resulted in no injuries, according to emergency personnel. Nome Police confirm that the pilot was the only individual on board, and was not injured.